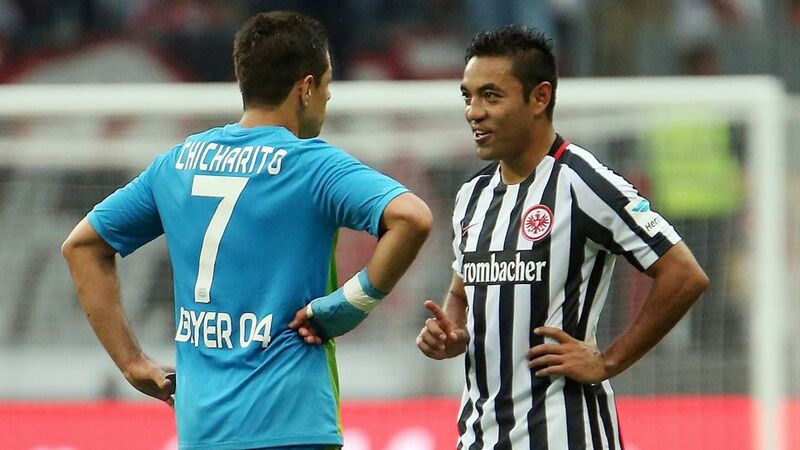 Eintracht Frankfurt's 2-1 victory over Bayer 04 Leverkusen on Saturday will live long in the memory of one man in particular: Marco Fabian. Having scored one and played a key part in setting up Alexander Meier for the opener, the Mexico international put in a confidence-boosting display after struggling to make his mark on the side since arriving from Chivas Guadalajara in the last winter transfer window. The 27-year-old, accompanied by his interpreter Stephane Gödde, gamely took part in seemingly endless post-match interviews, having secured the Eagles a second win of the season, and one that went some way to easing the pain of last week's 1-0 defeat to local neighbours SV Darmstadt 98. At just 9.8m, Fabian is a bargain in Official Fantasy Bundesliga. Sign him up now! Fabian, a stocky figure with a ready smile, even appeared a little nervous in front of so many cameras and microphones in the mixed zone. "You always have to work as hard as you can, be ready to fight and then focus on the next game," he said. After failing to get on the scoresheet at all in 11 outings in the second half of last season, Fabian was aware that many critics had already written him off – a fact he used as extra motivation: "The most important thing is to be patient. I never stopped working. When the coach needs me, I'm ready right away." Fabian's contribution against Leverkusen extended far beyond than merely scoring, however. He covered more ground (11.44 kilometres) than any of his team-mates, while he made more sprints (30) and fast runs (92) and had more shots (seven) than anyone else on the pitch. Download the free, official Bundesliga App! Saturday's match marked the first time in Bundesliga history that two Mexican players were on opposing sides, with Leverkusen's Javier 'Chicharito' Hernandez leading the line for the visitors. Chicharito, whom Fabian described as being "like a brother" in a pre-match interview with bundesliga.com, opened his account for the season with a well-taken effort, feinting past goalkeeper Lukas Hradecky before smashing into the net. Yet as Hradecky pointed out, perhaps Fabian does not know his compatriot as well as he thought: "Both our video analysts and Marco said that Chicharito would go for the right side with his penalty." Instead, the 'Little Pea' went the other way but crashed his effort against the base of the post – allowing his 'brother' a first taste of the Bundesliga limelight.